Climbing is a physically and mentally demanding sport, one that often tests a climber's strength, endurance, agility and balance along with mental control. 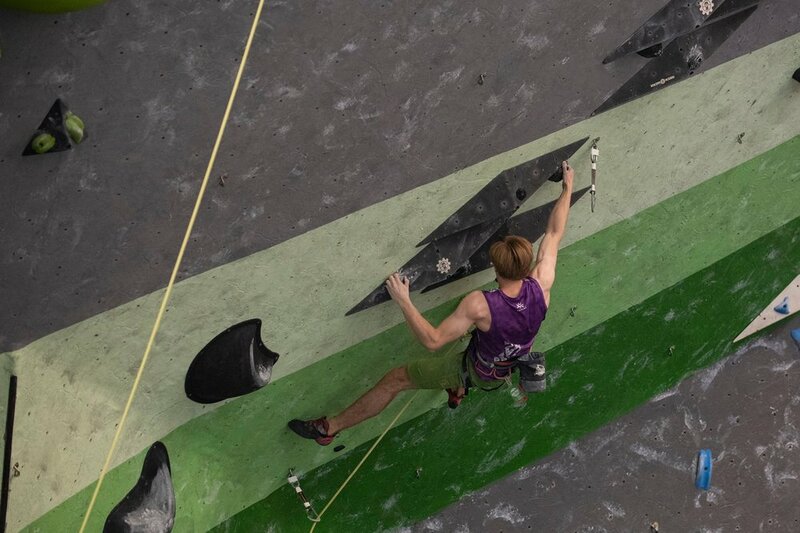 Knowledge of proper climbing techniques and usage of specialized climbing equipment is crucial for the safe completion of routes. Because of the wide range and variety of rock formations around the world, rock climbing has been separated into several different styles and sub-disciplines (Bouldering, Sport Climbing and Speed Climbing). 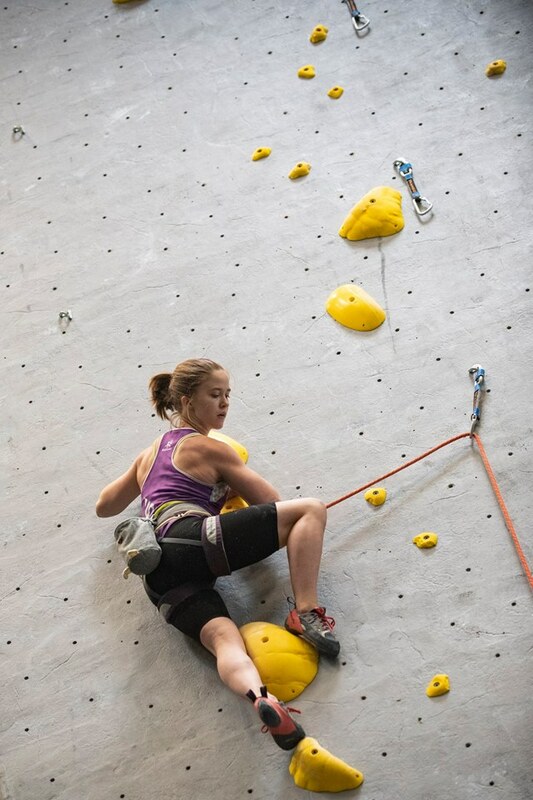 On August 3, 2016, Competition Climbing was added to the 2020 Summer Olympics program. The Stone Summit Team practices and competes in all three disciplines sanctioned by USA Climbing. Those disciplines are Bouldering, Sport Climbing and Speed Climbing. 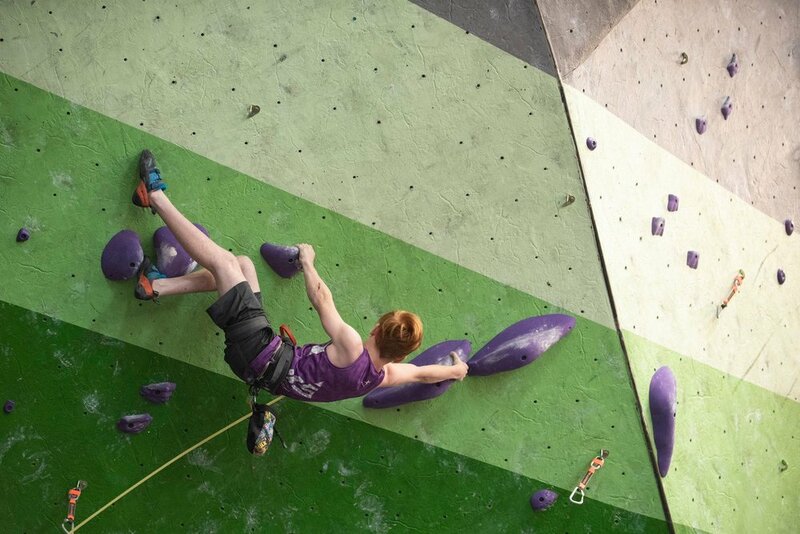 Our climbers compete at the local, regional, national and international levels. More information on each of the climbing disciplines is listed below. Sport climbing is a form of rock climbing that relies on permanent anchors fixed to the rock, and bolts placed on rappel and/or with cordless power hammer drills for protection. In contrast to trad climbing where the rock is typically devoid of artificial anchors for safety and climbers must place removable protection as they climb. The need to place protection is virtually eliminated and sport climbing places an emphasis on physical process of climbing and movement without the potential objective danger that might occur in a trad climb. 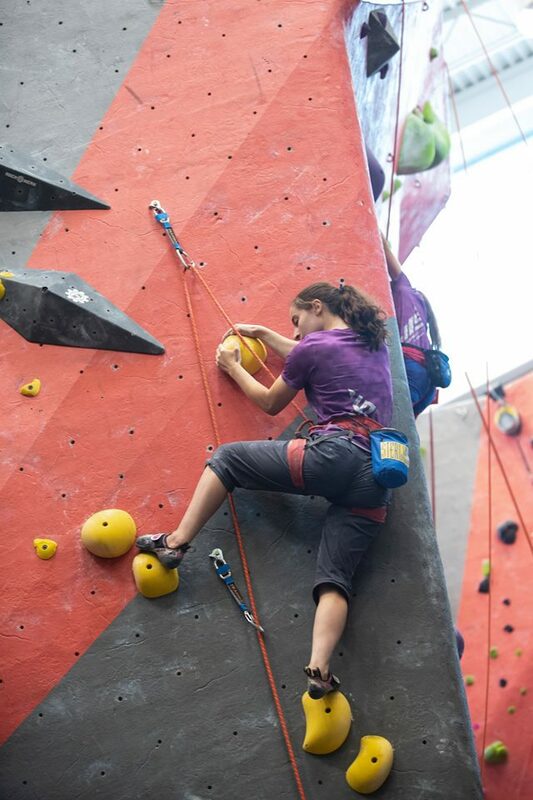 Consequently sport climbing emphasises strength, endurance, gymnastic ability and technique over adventure, risk and self-sufficiency. For the majority of sport climbers sport climbing offers an easier, more convenient experience which requires less equipment, less in the way of technical skills (required to protect the climb) and lower levels of mental stress than trad climbing. 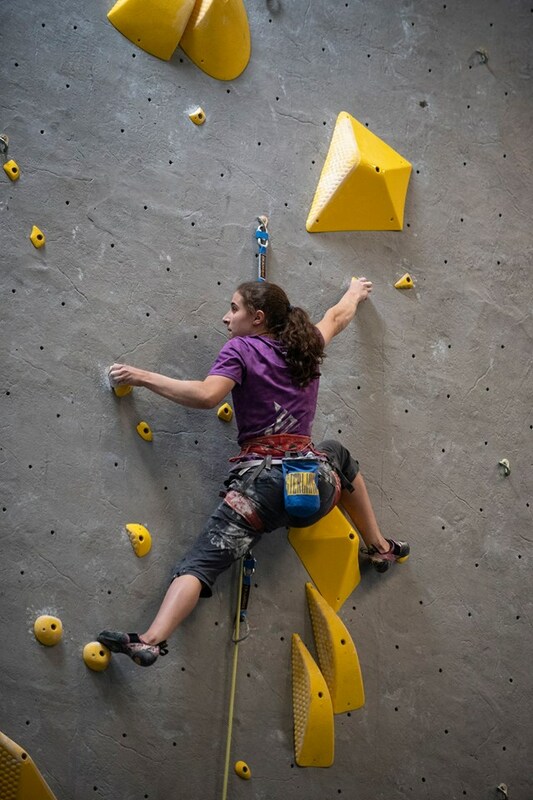 With increased accessibility to climbing walls and gyms more climbers now enter the sport through indoor climbing than outdoor climbing and the transition from indoor to sport climbing is much easier than the transition to trad climbing because the techniques and equipment used for indoor leading are nearly sufficient to sport climb (whereas trad requires significantly more in terms of techniques, experience and equipment). On August 3, 2016, Sport climbing was added to the 2020 Summer Olympics program. 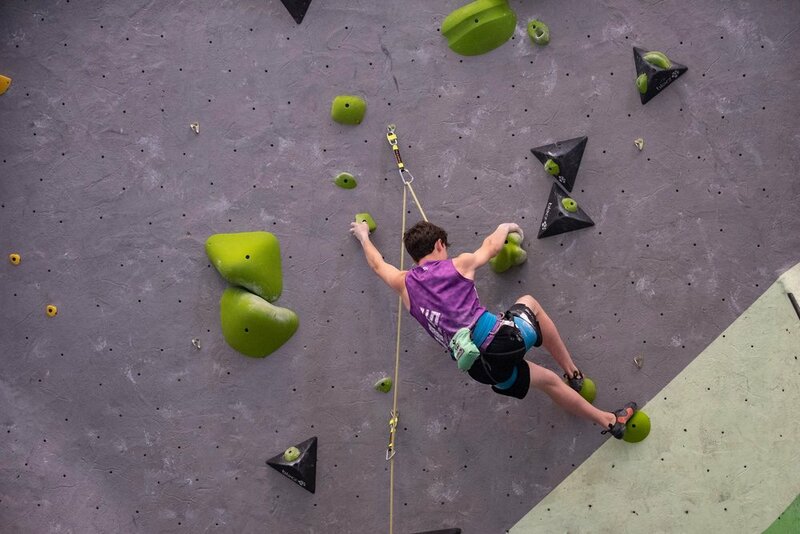 Competition speed climbing as governed by the International Federation of Sport Climbing takes place on 10m or 15m artificial walls. Competitors climb a slightly overhanging IFSC certified wall, with belaying from the top. Since 2007 the IFSC has created a standard wall for the world record. The holds and order are always identical, and the difficulty rating is around F6b, which is a level most recreational climbers could complete. The climbing time is determined by mechanical-electric timing (the competitor strikes a switch at the top of the route). As of 12/09/2014, Ukrainian climber Danyl Boldyrev holds the men's 15 meter speed world record; 5.60 seconds. Iuliia Kaplina from Russia holds the women's 15-meter speed record at 7.53 seconds. Speed climbing World Champions 2016 are Marcin Dzieński from Poland (5.83 seconds) and Anna Tsyganova from Russia (7.52 seconds). 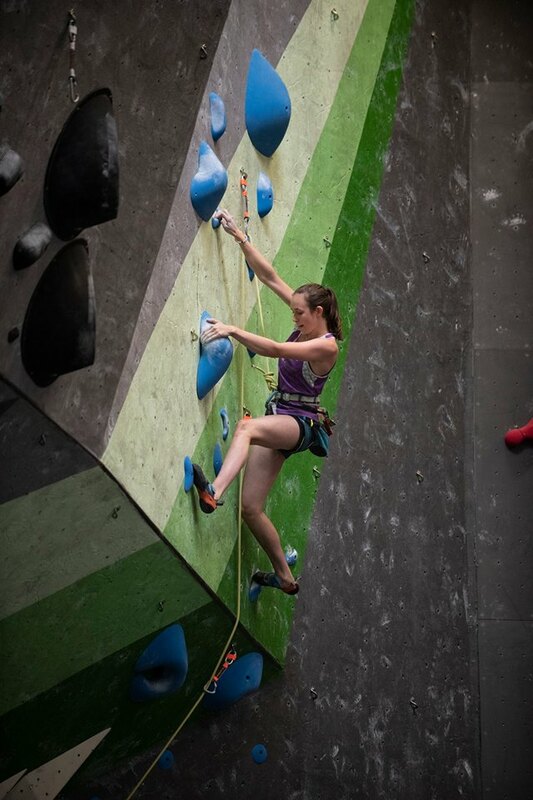 IFSC Climbing World Championships took place in Paris, France.